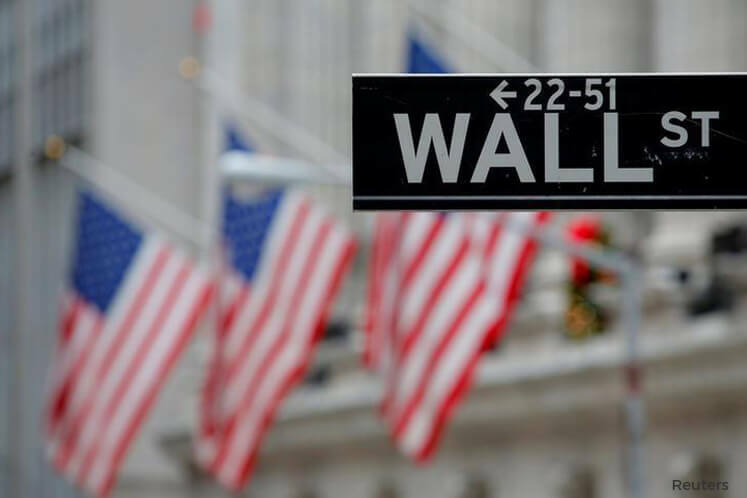 (April 6): Wall Street ended lower on Wednesday after a late-afternoon reversal following signals from the Federal Reserve that it could change its bond investment policy this year, quenching a rally sparked by a strong private-sector jobs report. Also investor concerns about the Trump administration's ability to deliver promised tax cuts were intensified by comments from lawmakers on deep divisions in Washington. Most Federal Reserve policymakers think the U.S. central bank should take steps to begin trimming its $4.5 trillion balance sheet this year as long as the economic data holds up, Fed meeting minutes showed. The minutes also showed "some participants viewed equity prices as quite high relative to standard valuation measures." “Either it scared participants because of talk that sounds like maybe (the stock market) is bubbling, or there is some thought that the normalization of the balance sheet is going to harm growth ... or we are going to get more (rate) hikes” than already expected, said Janna Sampson, co-chief investment officer at OakBrook Investments LLC in Lisle, Illinois. The Dow Jones Industrial Average ended down 41.09 points, or 0.2 percent, at 20,648.15, the S&P 500 lost 7.21 points, or 0.31 percent, to 2,352.95 and the Nasdaq Composite dropped 34.13 points, or 0.58 percent, to 5,864.48. After the recent failure of the Republicans' healthcare legislation reform bill some investors had hoped this would bring President Donald Trump's tax-cutting promise closer to reality. But U.S. House of Representatives Speaker Paul Ryan said on Wednesday that tax reform will take longer to accomplish than healthcare. "It seems like it was a combination of hawkish Fed minutes, disappointment about the pace of tax reform and a pullback in crude prices" that reversed the rally, according to Randy Frederick, vice president of trading and derivatives for Charles Schwab in Austin, Texas. "From my perspective, this is probably an unjustified emotional dip driven by several mixed signals." Nine of the S&P's 11 major sectors finished lower, with financials leading the sell-off. Utilities and Real Estate, the so-called defensive sectors, were the only two that ended higher. Earlier in the day the S&P had risen as much as 0.8 percent and the Nasdaq hit a record high after private-sector jobs data blew past expectations. Data showed that U.S. companies added 263,000 workers in March, the most since December 2014 and well above economists' expectations of 187,000. The Nasdaq biotechnology index turned negative in the late afternoon to end down 1.4 percent. This was likely because investors turned away from riskier investments this afternoon, said Chris Zaccarelli, Chief Investment Officer at Cornerstone Financial Partners in Huntersville, North Carolina. Declining issues outnumbered advancing ones on the NYSE by a 1.93-to-1 ratio; on Nasdaq, a 2.61-to-1 ratio favored decliners. The S&P 500 posted 38 new 52-week highs and six new lows; the Nasdaq Composite recorded 71 new highs and 69 new lows.